A fresh take on traditional design. Contemporary fonts pair well with a slim frame, all against a background color of your choice. 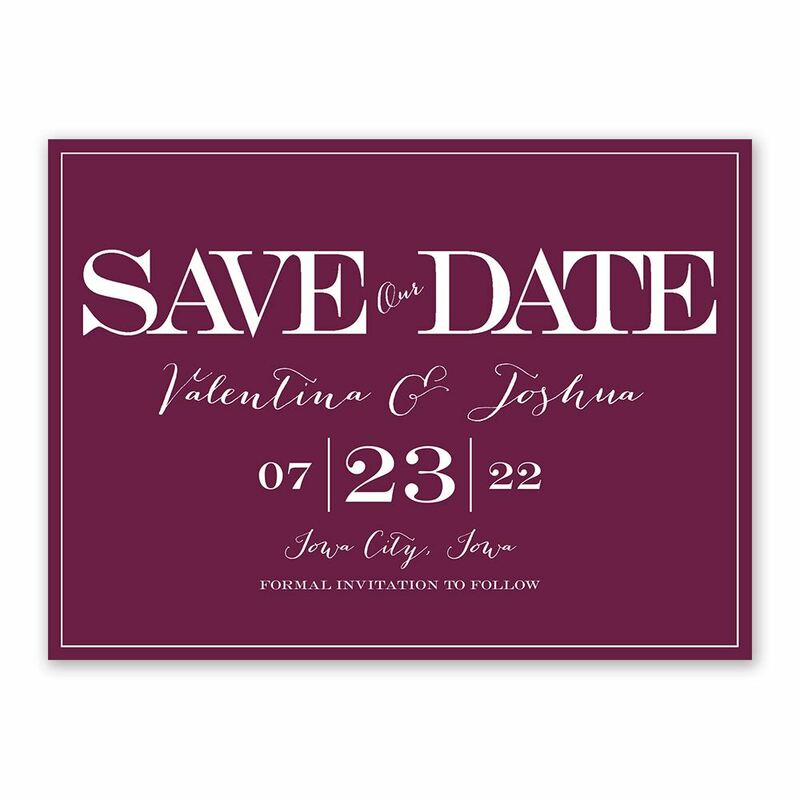 These Big Date save the dates will be sure to impress! Personalization Options: Design and background are printed in your choice of colors. Your wording is printed in your choice of colors and fonts. We decided on these cards because they were simple, yet beautiful. The price was great already, but with a discount code offered and free shipping, it made ordering 100 of them a simple task at a great price. The cards turned out wonderfully - the colors are true and the product is exactly what we expected. We are very pleased and it's likely we will use this site for our invitations as well.